Pedersen Building Systems was established in 2003 by Ernie Pedersen. He continues to be the sole owner of this Morris County, NJ-based full service General Contracting firm. Whether helping out "in the trenches" or solving complex building design and budget issues, Pedersen is equally at home. No question or problem is ever too big, or, as he will be the first to point out, too small. 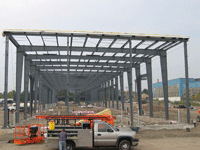 Now, nearly a decade later, Pedersen Building Systems has grown to be a leading presence in the (northern) New Jersey pre-engineered metal buildings arena. Pedersen Building Systems has always had one goal: to provide its clients with innovative, economical building solutions while providing superior customer service. They offer a Single-Source Solution to clients. More precisely, Pedersen is well-qualified to be involved in every step of the project life-cycle from the moment the client's building need is first identified up through final co-approval and closeout. Clients range from large general contracting firms to individual first-time builders. But whomever the client, they always know that they can count on Pedersen to offer their services wherever and whenever expertise is needed. 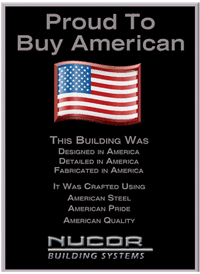 Since its inception, Pedersen Building Systems has partnered with Nucor Building Systems, a leading manufacturer of pre-engineered steel buildings. This fortuitous relationship continues to this day. Prior to establishing Pedersen Building Systems, Ernie Pedersen was a partner in a general construction firm for 10 years specializing in pre-engineered buildings. His construction experience began almost 30 years ago, when he worked in and eventually managed the family-owned commercial painting business, TE Pedersen Painting Contractors, Inc.